The FDA approved a potent new opioid despite serious doubts that have been raised about the drug’s safety and necessity by people concerned about the country’s opioid epidemic, including opposition from the chair of the FDA committee that recommended the drug’s approval. The drug comes in 30 mcg doses via a disposable, pre-filled, single-dose applicator. But it’s only meant to be administered by medical professionals in health care settings (like hospitals), meaning it’s not something you can pick up at your local pharmacy with a prescription from your doctor. Dsuvia is meant to be used only in patients who haven’t responded to other pain medications. “The drug is delivered in a stable form that makes it ideally suited for certain special circumstances where patients may not be able to swallow oral medication, and where access to intravenous pain relief is not possible,” Dr. Gottlieb says in his statement. According to him, the drug is best for patients whose pain isn’t adequately treated with other drugs or those who can’t tolerate those drugs. He also points out Dsuvia’s potential for military application, noting that the Department of Defense collaborated closely with AcelRx, the maker of Dsuvia. “The FDA has made it a high priority to make sure our soldiers have access to treatments that meet the unique needs of the battlefield, including when intravenous administration is not possible for the treatment of acute pain related to battlefield wounds,” he says. However, critics argue that Dsuvia’s potential value doesn’t outweigh its risks. “It has no unique place in the current armamentarium of analgesics,” Raeford Brown, M.D., chair of the Anesthetic and Analgesic Drug Products Advisory Committee (AADPAC), the FDA body charged with evaluating such drugs, tells SELF. (Dr. Brown, who is also a professor of anesthesiology and pediatrics at the The University of Kentucky and The Kentucky Children’s Hospital and chair of the Section on Anesthesiology and Pain Medicine at The American Academy of Pediatrics, was not in attendance at the AADPAC’s October vote due to prior commitments, but co-wrote a bold letter of opposition to the FDA’s decision with a group of health experts at the nonprofit consumer advocacy organization Public Citizen). Dr. Brown questions how many patients are not able to be adequately treated by one of the 440 formulations currently available—including Abstral, a comparably strong drug designed to treat breakthrough pain associated with cancer that’s also available in sublingual form—and therefore how dire the demand for more opioids really is. 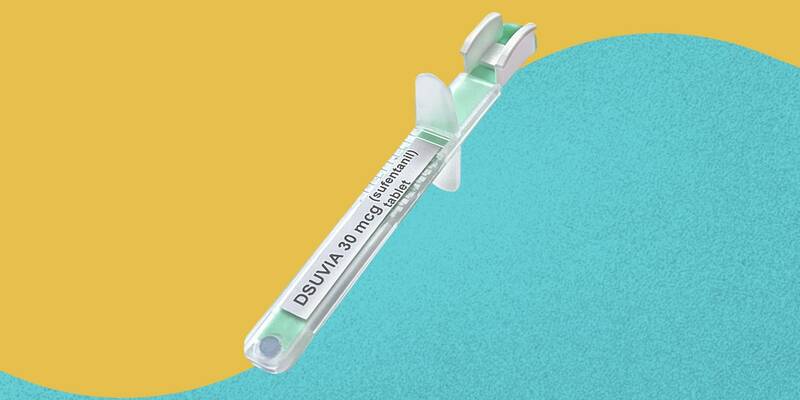 The FDA says it’s instituting “very tight restrictions” to prevent the misuse and abuse of Dsuvia given the rampant opioid problem. But skeptics point out that similarly tight restrictions were placed on other opioids that are currently being abused, such as fentanyl. “Historically, the reality of the situation is [that] we haven’t been able to control any other opioid,” Dr. Brown says. “I don’t have any confidence that were going to be any more successful with sufentanil,” Dr. Brennan adds. The controversy surrounding this drug’s approval is part of a larger problem the FDA—and the country—is currently facing.